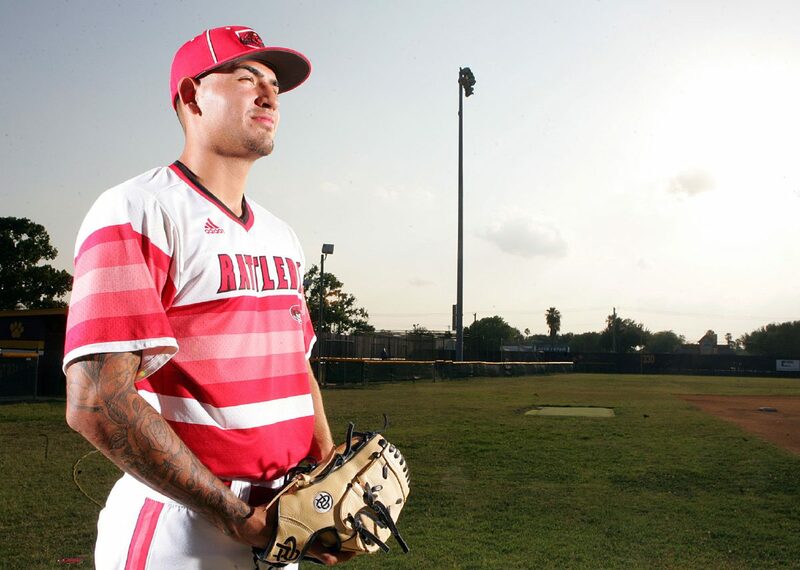 McALLEN — The last thing hitters see before Rio Grande City senior Ruben Sepulveda’s dominant changeup comes at them are the letters N-A-N-D-O inked on his powerful left arm. “Nando,” as he is known by most, made his mark on the Valley this season. Sepulveda led the Rattlers to a 12-4 district record, good enough for a third-place finish in the tough-as-nails District 31-5A. 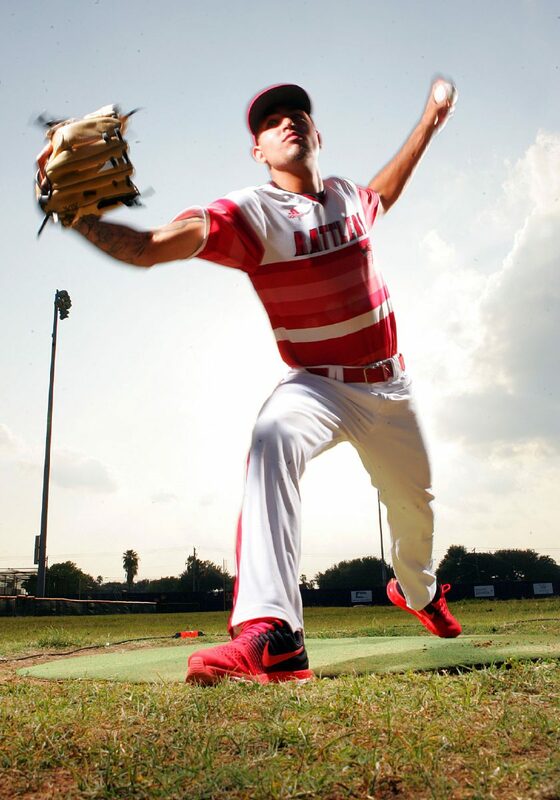 The Rattlers reached the playoffs for the first time in three seasons and they made the most of it, sweeping a quality Brownsville Veterans team in the Bi-district round. In the area round they battled Kingsville King in a closely contested three-game series, before ultimately being eliminated in the final game. Sepulveda got it done on the mound, he posted a 1.64 ERA in 64 innings and finished the season sixth in the state in 5A with 96 strikeouts. Sepulveda only walked 19 batters all year. 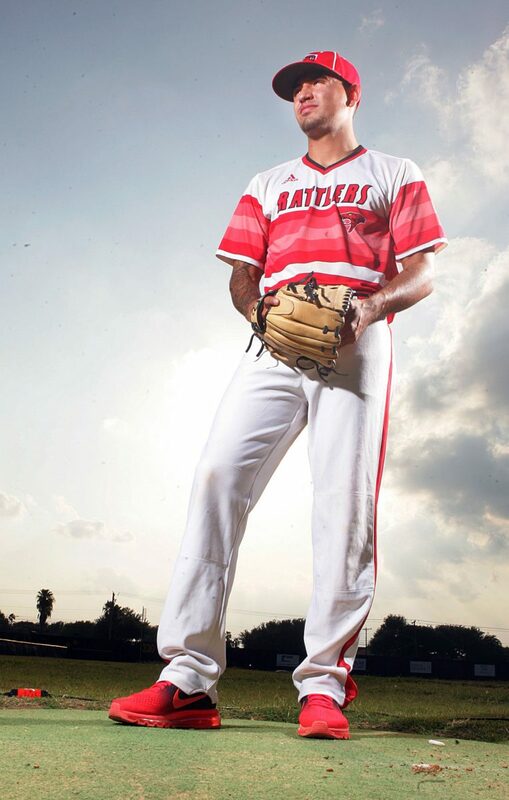 For his dominant performance on the mound, Ruben Sepulveda is The Monitor’s 2017 All-Area Pitcher of the Year. Sepulveda, a Coastal Bend commit, also got it done offensively for the Rattlers. He hit .444 with 28 RBIs, five doubles, two triples and two home runs. Rio Grande City struggled early in the season, going 5-6-1 in non-district competition. But, they were matched tough in some competitive tournaments and the team learned from the disappointing stretch. The Rattlers got hot as soon as they entered the district season, going 6-2 in their first eight games. The team showed up for the big games, splitting the season series against Mission Veterans. Sepulveda was a big part of that, he was on the mound for the win against Mission Veterans, and he was on the mound for the opening game of both playoff series. Sepulveda said he was motivated by the pride of playing for his team, and the pride of representing his family. On his left arm, Sepulveda has a tattoo spelling his nickname “Nando.” But it’s the ink on his right arm that’s his motivation.